The temperatures have been see-sawing from mild to biting cold and spring-like weather is appearing and disappearing on the East Coast. The evening of March 5th, though, turned out to be one of those chilly ones. But that did not deter hundreds of women from New Jersey and other surrounding areas to come and celebrate “women power” at a glitzy and colorful evening. Along came the men in full support of the women achievers, to attend the event, Women Empowerment Gala. 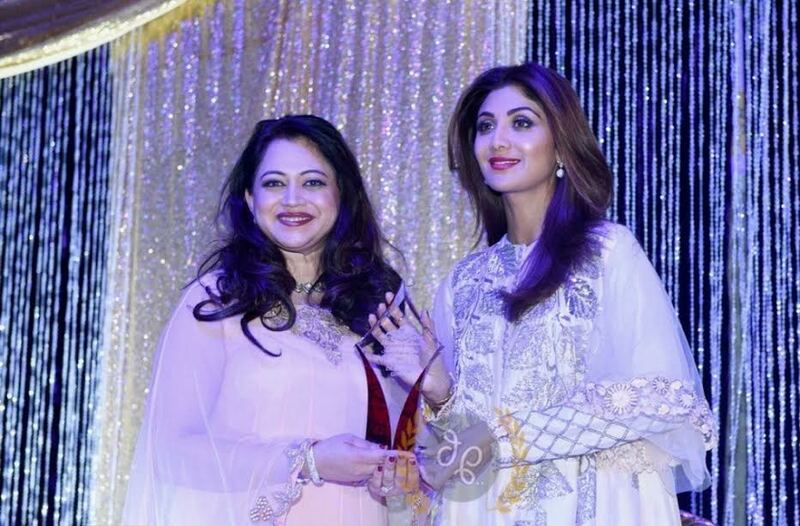 The event’s key speakers included thespian Shilpa Shetty, Dr Kavita Gupta (AIF) and Shruti Devi (Manavi). Dr. Gupta chairs the Philadelphia Chapter of AIF, which is committed to catalysing social and economic change in India, and building a lasting bridge between the United States and India through high-impact interventions in education, livelihoods, public health, and leadership development. She also highlighted the other causes that were a part of the evening’s program including SKN Foundation, CRY and Manavi. Manavi is a New Jersey-based organization serving the South Asian community and working towards ending violence against South Asian women living in the US. Manavi is celebrating its Annual Gala on April 22nd. The other women who were recognized during the event were media personality Kiran Chetry, Patricia Stark, Fox News, Dr. Janhavi Rane, Rane Dental Group; Tirusha Dave, Editor in chief Bravura Magazine; Jolly Amatya, youth chain UN; Dr Mamta Gupta, Pediatrician; Javeria Khan, Entrepreneur; Rashmi Gupta, Health & Human Services; Dr Anju Madnani, Medical Director, Kaaya; Rashmee Sharma & Mani Kamboj; Pratibha Katariya, Allstate, Seema Jagtiani of Farmers Insurance; Shobhana Patel, former FIA President; and USHA Krishnakumar, NY Life. Dr. Sanjay Gupta, a well-known leader of the community, and Kiran Chetry moderated the evening’s program. Miss New Jersey 2016 Brenna Weick was a honoree at the event. The event was organized by Royal Events under the leadership of Priyanka Shah.